Descending the temple’s spiral staircase provided a better view of the stunning blue dome ceiling with gold zodiac detail, regal thrones and organ. 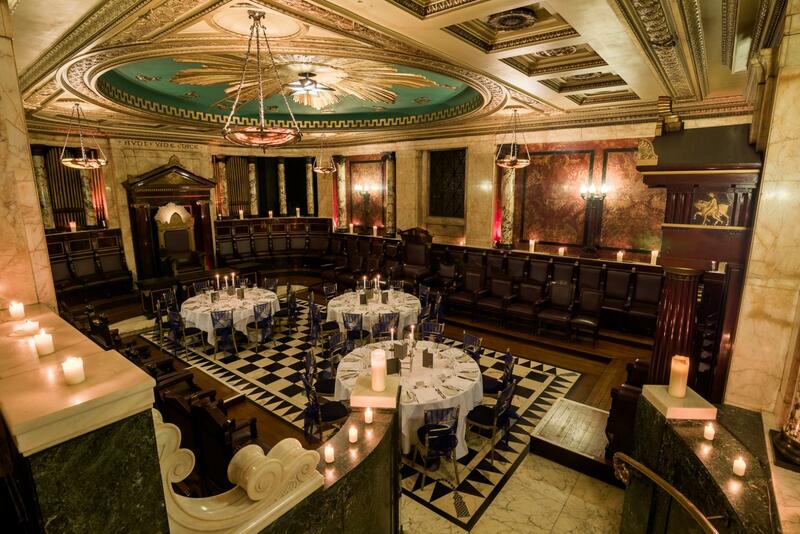 Built in 1912 by Charles Barry Junior (the son of Charles Barry, the architect responsible for the Houses of Parliament’s design), the Grade ll-listed Greek Masonic Temple was where Freemasons attended their Lodge meetings. The Temple was first chaired by the Queen’s cousin, Grand Master Duke of Connaught. Above the thrones is the Latin inscription, “Avdi veda tace” (Hear, see, keep counsel). 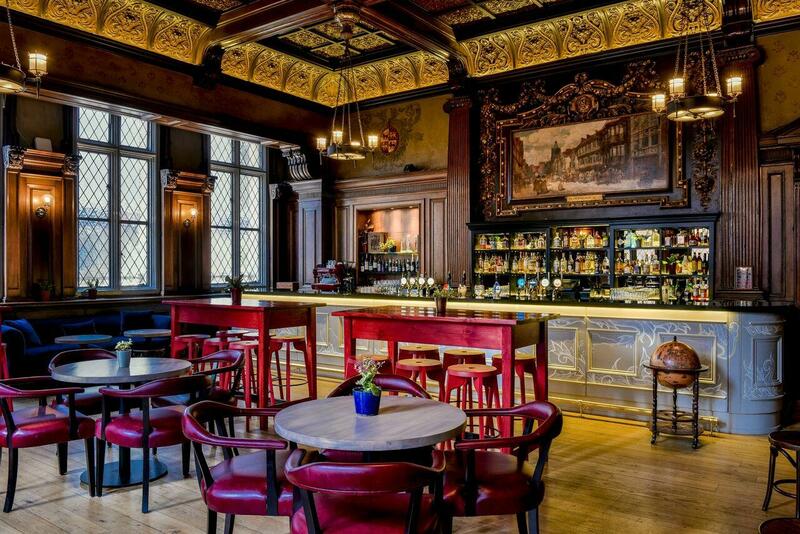 London’s latest private dining experience. Here, guests choose menu combinations from any of the hotel’s five restaurants, which specialise in sushi, modern British, seafood, bistro and hearty pub fare. 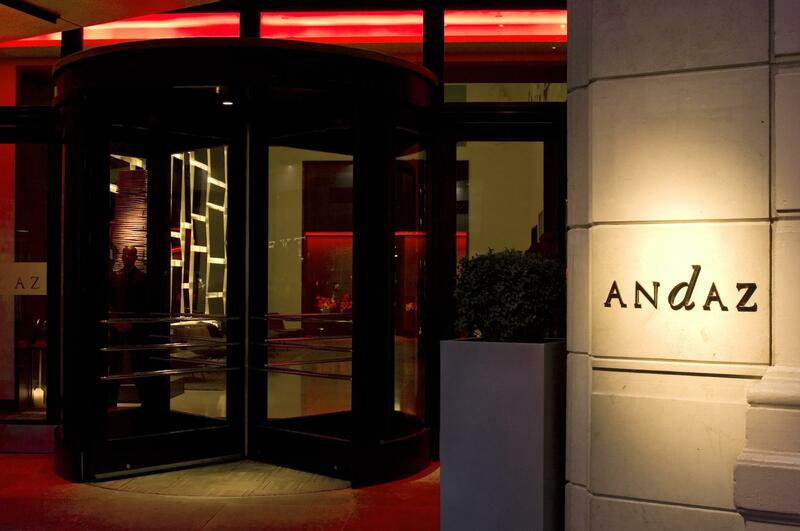 With a private entrance and dynamic open kitchen, the Andaz Studio is residential in design and service, and unique to the Square Mile. 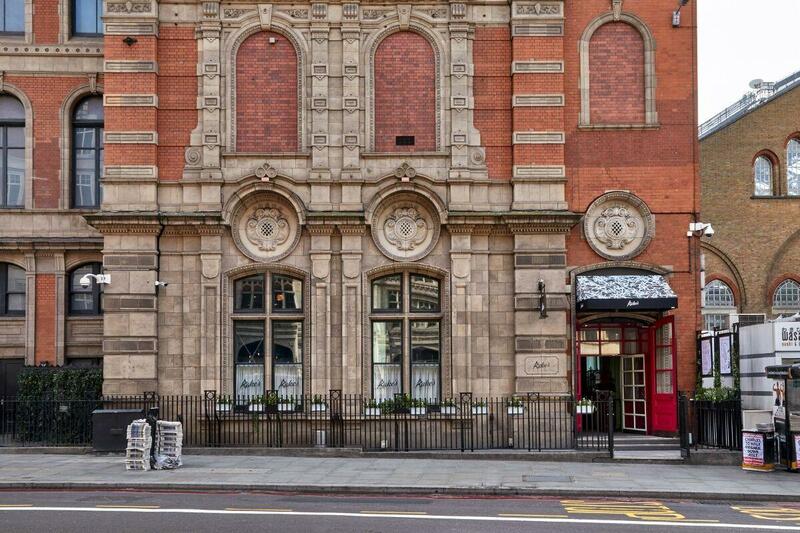 The elegant proportions of this Victorian space make it the ideal venue for a cocktail soirée, an elegant dinner, a boardroom meeting or your wedding ceremony - with soft, flattering lights accentuating the details of the high ceiling and ornate moldings. Think champagne and chandeliers making this sumptuous setting ideal for a luxury dinner. 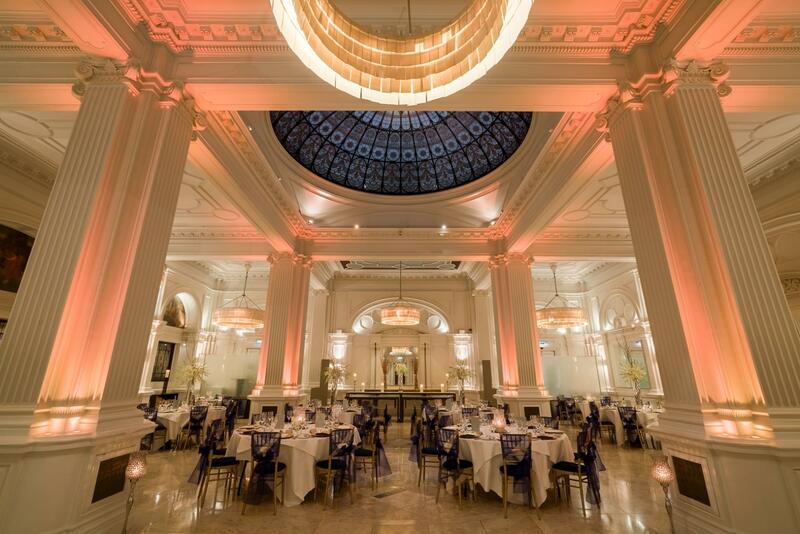 With magnificent original cornicing, unique fireplaces, ornate chandeliers and bold modern art, your event will dazzle from dusk until dawn. 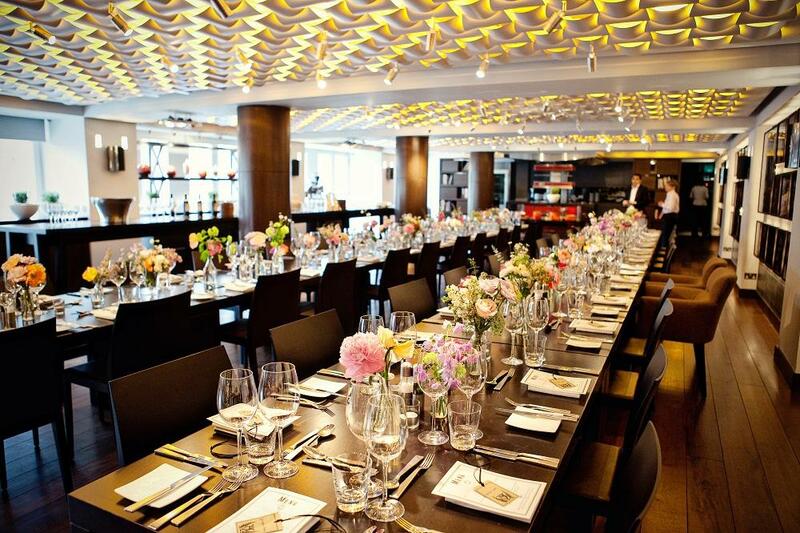 It's the largest and most versatile of our event rooms. 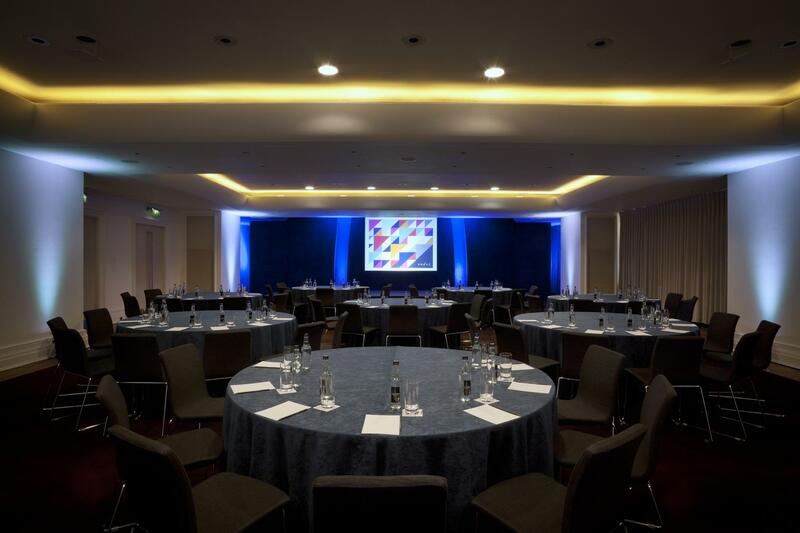 With contemporary coloured lighting, this is a simple, spacious and clean-lined room that can be transformed into anything and everything you may need for your event. 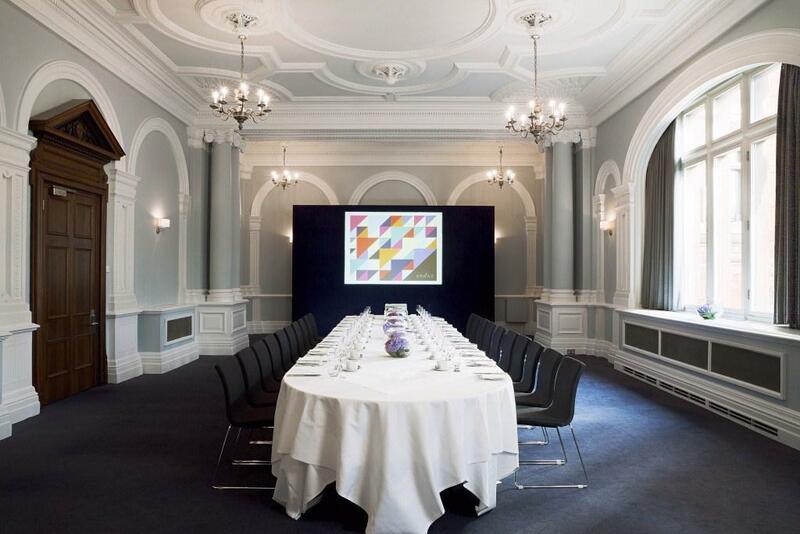 A flexible room that seats 80 people as contentedly as 250, this space comes as part of a package with the Gallery - for conferences and presentations, it will provide your clients and colleagues with a relaxing area for morning coffee or lunch. 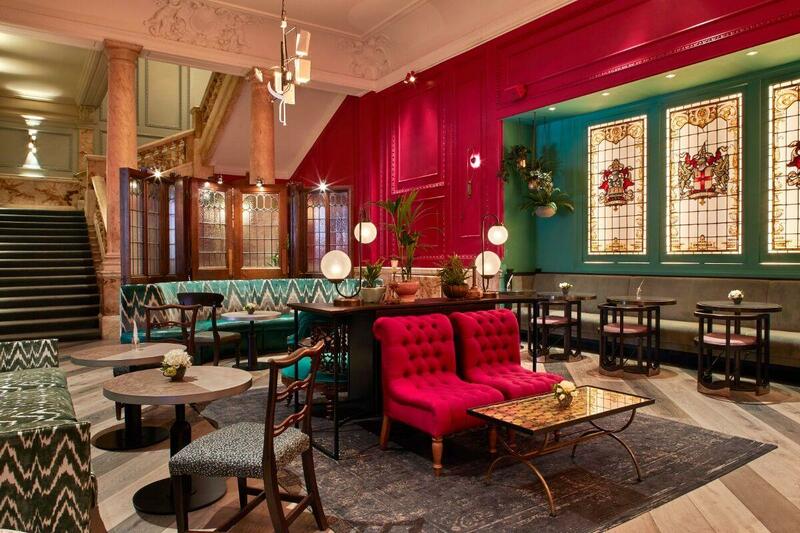 A destination for the curious, Lady Abercorn's takes its name from an iconic sassy, strong and caring landlady from the neighbourhood, with delights and discoveries to be made by those who know how to ask. Influences from her travels around the globe can be found in the décor and on the menu. Indulge in our signature iconic roasts - including vegetarian options, served with bottomless Yorkshire puddings and a menu of both traditional and unique gravies. Celebrating the local area, Lady Abercorn’s serves beer from local breweries and even brew our own, the Lady A, a light IPA. Available both in a bottle and on tap, is an ideal tipple to accompany food or to be enjoyed as a casual drink. 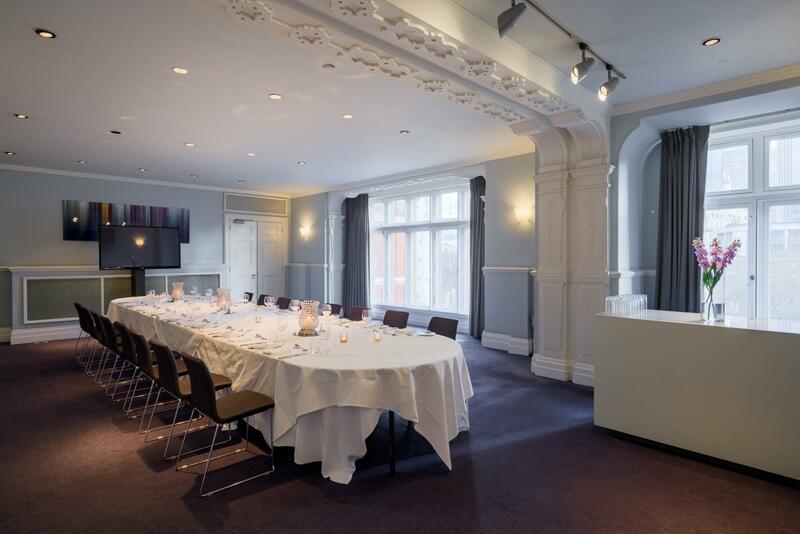 The sole meeting space with executive access located on the second floor, The Minories boasts floor-to-ceiling windows that provide a panorama of the city, making it the ideal space for a pop-up event, lively business lunch or private dining experience or even a private party or drinks reception. 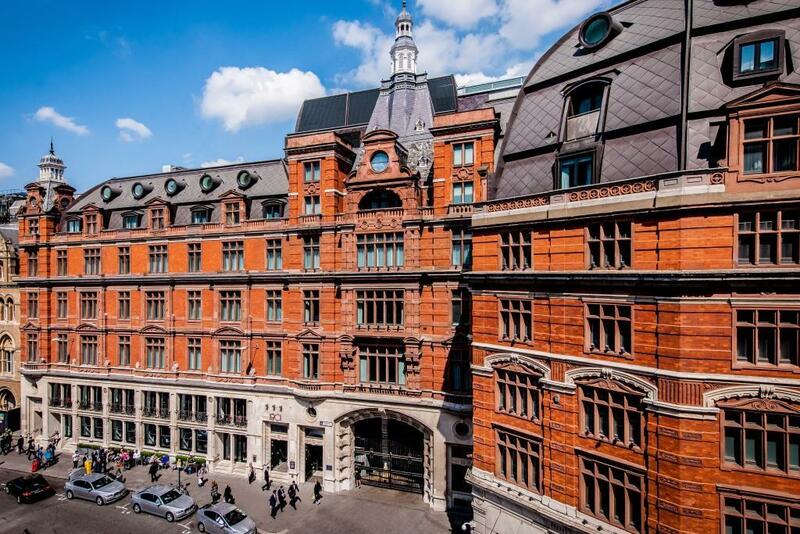 Located on the first floor, Exchange is the newest addition for Andaz London's Private Dining and Event spaces. With beautiful high ceilings and large windows, this space feels airy and allows for lots of natural daylight. The room also seamlessly blends modern and traditional with it's Victorian fireplace complimented by pops of colour in the trendy furniture and wallpaper. This setting provides a vivid backdrop for the stunning oak table at the centre of the room that sits below the striking chandelier. 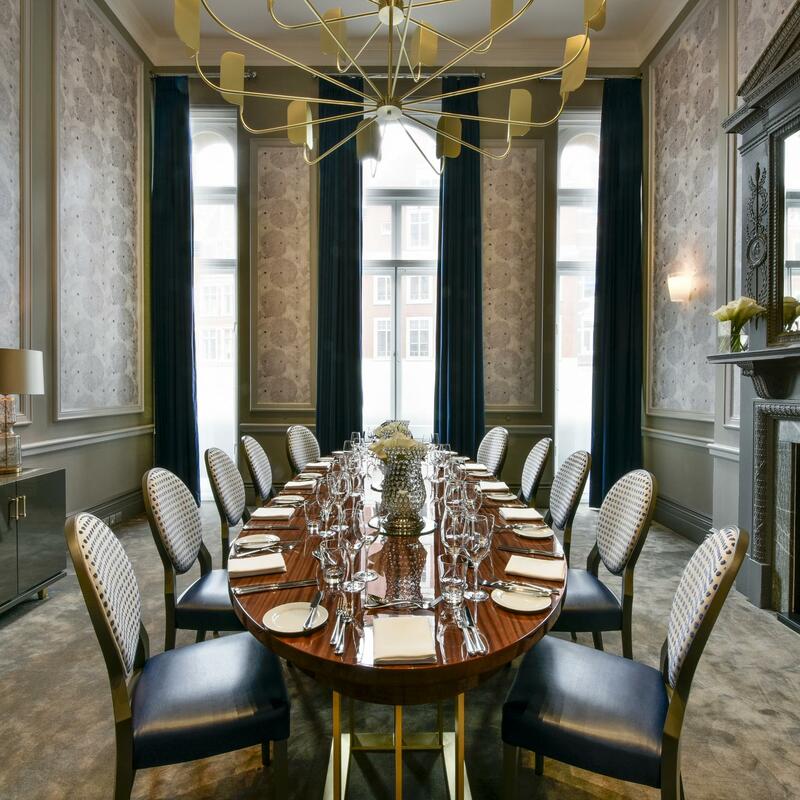 A unique private dining room perfectly suited for business events or social events. Amazing night, staff were all very nice and friendly. A truly five star experience! Our guests and vendors couldn't stop talking how polite and helpful the staff were. 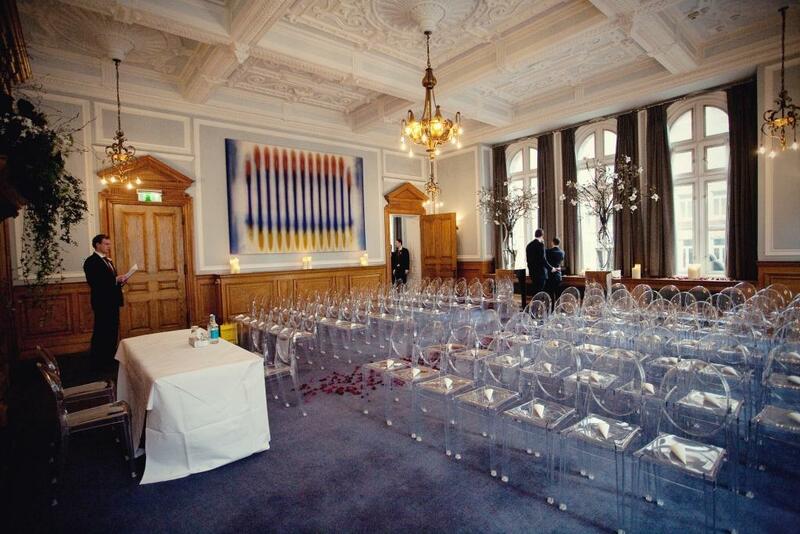 The room was beautifully decorated, I only added flowers for the tables. The food was amazing, all nine dishes. One of the cake was smashed on route and the staff got the cake company to send a new one. Also, the cake boards were bigger than the cake stands and they got their pastry chef to carefully place the cakes on our cake stands. Even when I was not happy with some of the planning aspect the manager was very quick to deal with it. We had a great night!! !